When you are traveling to a spot where you plan to play golf, travel cases are an important consideration. Whether you are headed to Myrtle Beach or Hilton Head, you want to carry your favorite golf clubs with you and enjoy some tee time. As with any piece of luggage you travel with, be sure to attach a tag with your name and flight number in case the case should get lost or left behind. All SKB ATA golf cases come with a $1,500 Club Coverage. 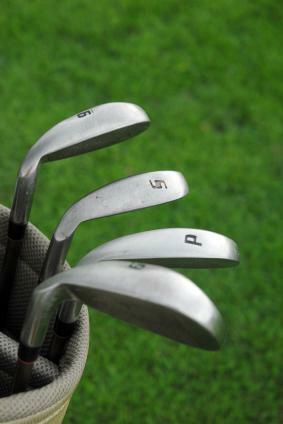 If your golf clubs are damaged by an airlines, SKB will repair or replace the clubs up to $1,500. The hard cases are too heavy to play golf with, so you will need to either bring or rent a golf bag when you get to your destination. Bag Boy Hybrid Travel Case is the ideal solution for traveling golfers who want their clubs protected but don't want to rent a golf bag once at the course. This case that serves as both a traveling case and a regular golf bag, comes in three sizes. The prices start at $100. Be sure to make sure that whichever case you purchase, the travel case will meet regulations for wherever your trip takes you. You don't want your case to be too heavy so that the airlines won't allow you to check it on the plane. You also want to be able to carry the bag (or push it if it has wheels) easily through the airport.